Few people think about their spine or the health of their spine until they get back pain. Over time, everyday activities can cause poor posture and this poor posture can cause back pain. Jobs that require sitting in an office chair or driving for long periods can cause damage the spinal column and muscles. Fortunately, today there are ergonomic chairs and pads available which can reduce back pain. If you have back pain that comes and goes your posture may be the culprit. Sometimes the pain will start in the neck and move downward into the back or extremities. Poor posture may pinch the sciatic nerve or straining muscles and tendons. If you sit in an office chair all day, you may need a better-designed chair. If you drive for living there supports for the back that are ergonomically designed for comfort and posture. Poor posture goes along with poor sitting habits. Try to make yourself aware of how you sit and how you stand every day. Then try at to make adjustments accordingly. This will go a long way to improve your posture and alleviate back pain. You can also try improving posture with ergonomic chairs. 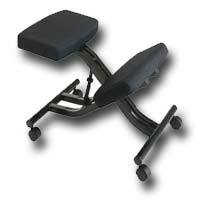 They are designed to help you acquire good sitting habits. Drivers will find ergonomically designed pads that fit onto the seat to help them form new sitting habits. Many independent studies say these designs work well to assist in developing new sitting habits. An unnaturally stiff posture can cause muscles to tense while a more relaxed posture eases the muscles. The natural tendency is to limit movements when you are in pain. Anyone that has suffered with back problems knows this. However, the spine is designed to be flexible. By not using the spine’s full range of motion the pain is actually being aggravated. This is why people that play sports always say, “Work it out” when they get an injury. Even physical therapists understand the value of exercise to work through the pain of an injury. So even though it hurts, keep moving. Keep in mind all of the situations that can cause a back injury. The most common way to injure your back is by twisting while lifting a heavy object. Any awkward movement of the upper body can cause the ligaments and muscles to tear. Another common cause of back injury is improper posture while sitting. Improving posture with economic chairs and being careful while lifting heavy objects will go a long way to preventing back injury.